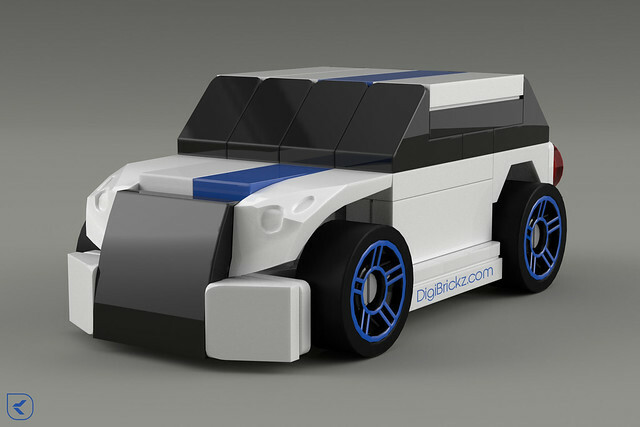 LEGO Tiny Turbo(s) – Race Hatchback! This model is not build-able In Real-Life (IRL) (Sorry!) because i’ve added an ‘offset’ with 3 (three) stud on the right and left side of the Car/Model and it has a custom decoration. The ‘offset’ is inspired/gotten from this model on the right. Bigger Picture in my Flickr! Related Posts of "Tiny Turbo(s) – Hatchback Racer"